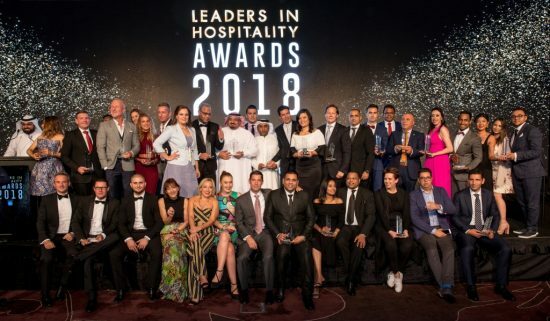 The winners of the fourth edition of the Leaders in Hospitality Awards 2018 were announced at the St. Regis Dubai on Sunday, 29 April. The event, organised by BNC Publishing for the fourth consecutive year, saw a record-number of winners, 25 in total, being named on stage in front of more than 300 guests from all sections of the hospitality industry. 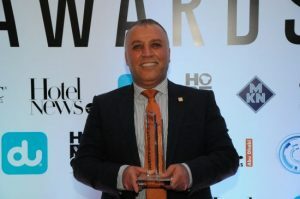 Winners on the night included Dubai-based entrepreneur Ghassan Aboud, who was named as Leading International Hospitality Investor for his pioneering investments into Crystalbrook Collection, Australia. Also among the honours were Dubai-based Solutions Leisure, Fairmont Dubai, Fairmont Ajman, Fairmont Fujairah. It was a sign of the awards’ international appeal that people flew in from all over the world to be there. International winners on the night included Oman’s Anantara Al Jabal Al Akhdar Resort and Tariq Yousef, general manager of Intercontinential Riyadh. Wissam Younane, CEO BNC Publishing, said: “Once again I am humbled to be associated with this fantastic industry. It is a real honour to see so many talented people assembled in one place to share their achievements with us.